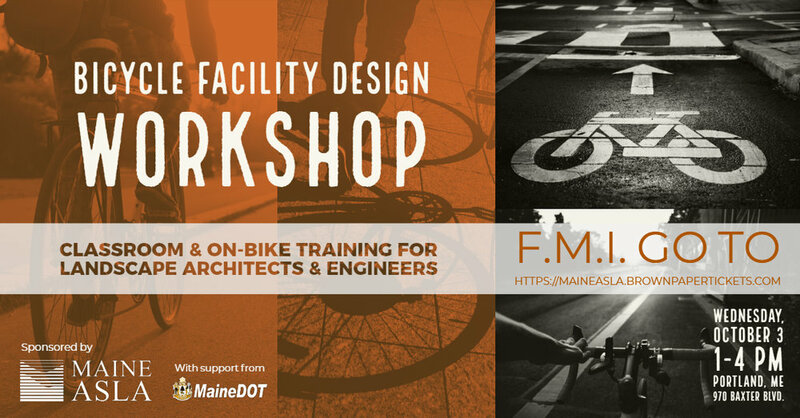 MaineASLA is organizing an on-bike training session lead by Jim Tasse, PhD. Jim is a League of American Bicyclists Cycling Instructor (LCI, #1308) and the Education Director of the Bicycle Coalition of Maine (BCM). Through his work with BCM, he has expanded and professionalized the bicycle education program run in partnership with MaineDOT. This training session will be geared toward landscape architects and engineers who design public transportation facilities. Introduction and goal setting activity. Review of AASHTO, NACTO, PACTS design guidelines and strategies for accommodation, including MaineDOT Complete Streets and LCP policies. Bicycles and helmets with basic road safety instruction. On-Bike, 4-5 mile bicycle conditions assessment ride with short learning stops. Follow-up discussion on facilities design, roadway comfort and perceived safety. 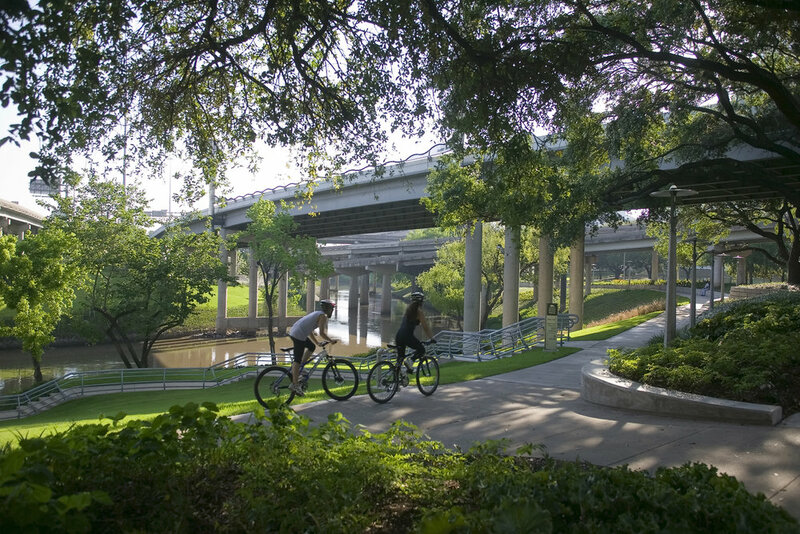 Identify and describe basic facilities that meet national design guidelines for bicycle accommodation, including bike lanes, SLMs, and multi-use paths. Describe the minimum and preferred operating space for bicycle riders. Evaluate roadway and shoulder conditions for safe and comfortable bicycle operation. Identify roadway and pavement hazards to bicycle operation. Explain why people on bicycles sometimes need to use more of a travel lane for safety. Explain the effect that lane width and motor vehicle speed have on perceived safety and comfort. The session cost is $25.00 for ASLA members and $50.00 for non-members. CEU credits will be available. The event is co-sponsored by MaineDOT. Please dress appropriately for light athletic activity and the weather for the day. Rain date of October 10th. Newer PostMaine Chapter Formation: Let’s Continue the Dialogue!